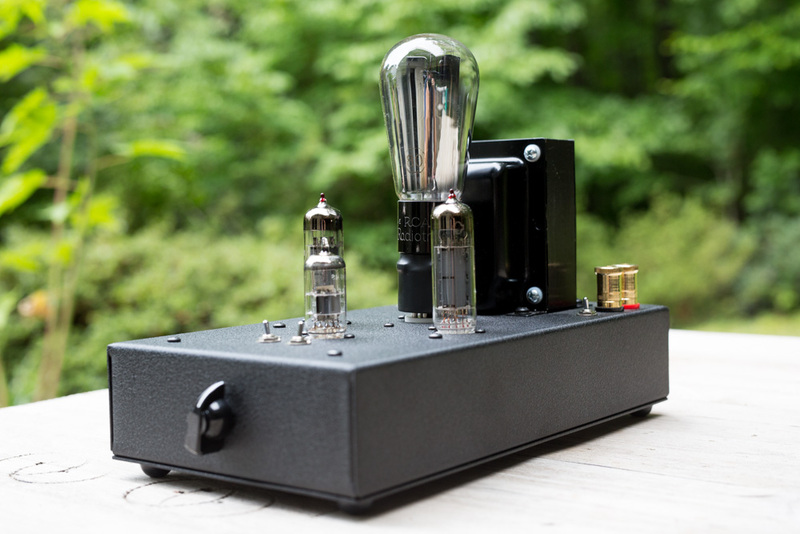 The Decware SE84UFO sure is one hell of an amplifier! 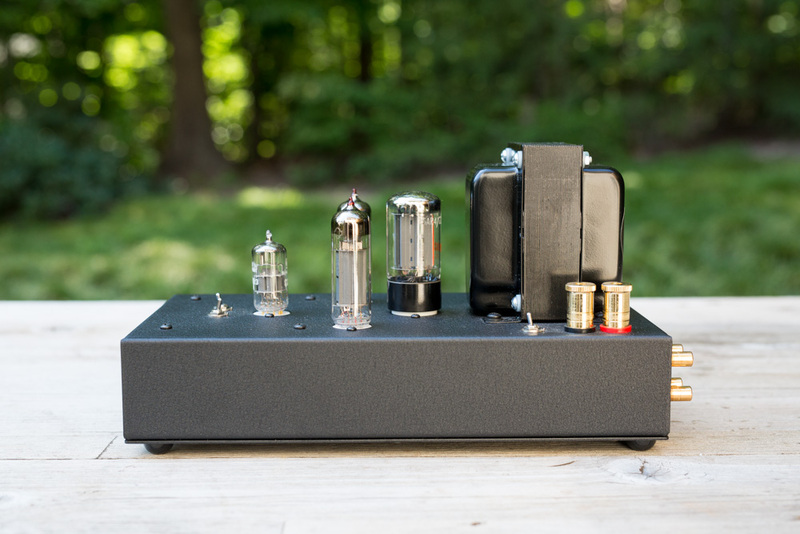 Like its predecessors, it has a soundstage, snap and vibrancy that are out of this world good sounding, but in a miniature form factor that packs a lot bigger punch than plenty of the amplifiers that have passed through this room. 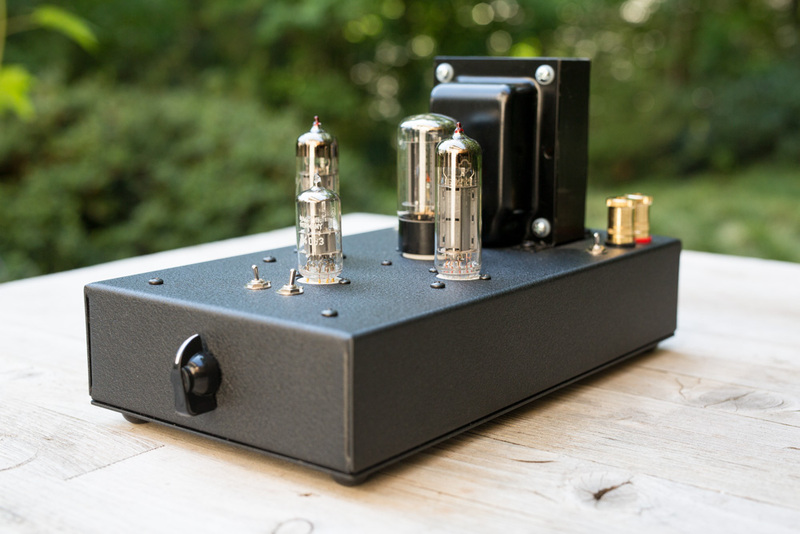 And with a built-in volume control and 2 switchable inputs, the little Decware can be the center of a nice system all on its own, with no need for a preamp and other associated expenses. As I’ve said before, I’m a big fan of Decware. 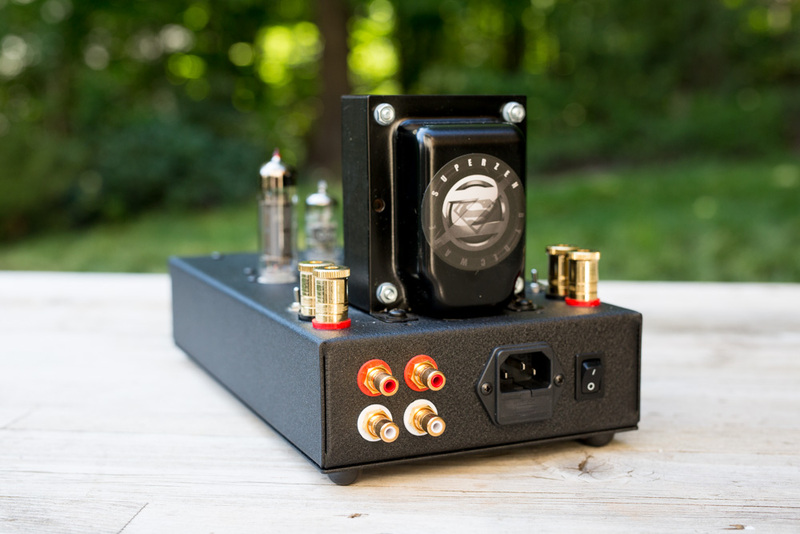 Over the past 15 years or so I’ve owned a number of their amplifiers in several types, and have a sweet spot for the smallest in the stable; the little SV83-based ZEN amps. Here I have the latest and greatest incarnation (currently 2017), with the upgraded UFO transformers and a new beefier black-coated case. It took quite a while to find a used amp for sale, and I think that says a lot. The sound quality and affordable price (for tube audio at least) makes these little jewels hard to part with. And I can tell you from hard won experience that you will chase your tail trying to find comparable build quality and sound from other amps, particularly in this price range. 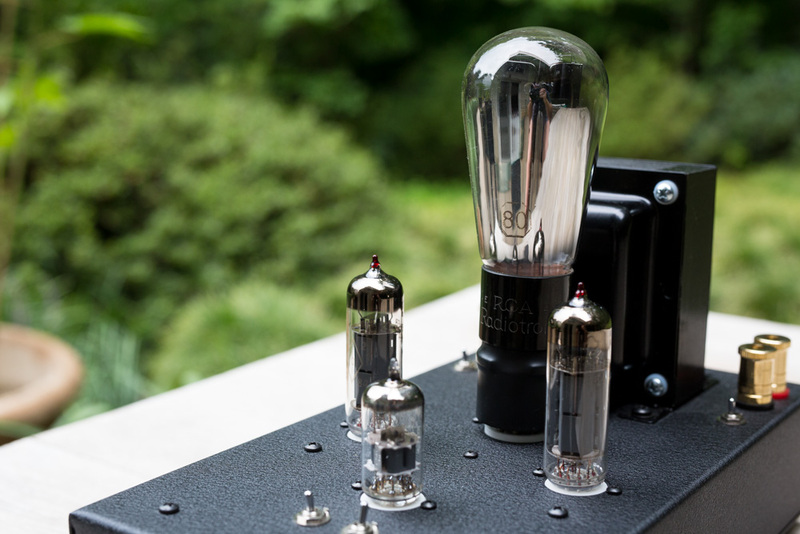 There are many different flavors in single ended amplification these days, but sound-wise the little Decware with premium tubes is already very near the top of the pile. 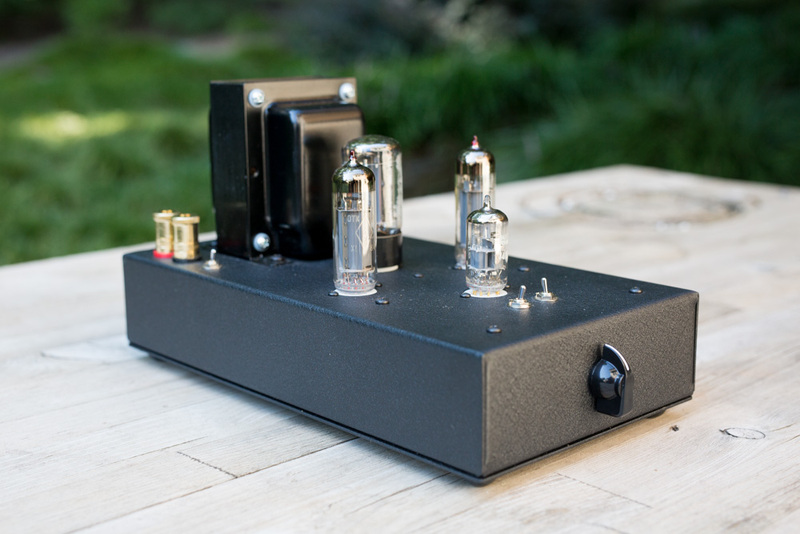 One of the best things about these amplifiers are the tube rolling possibilities. 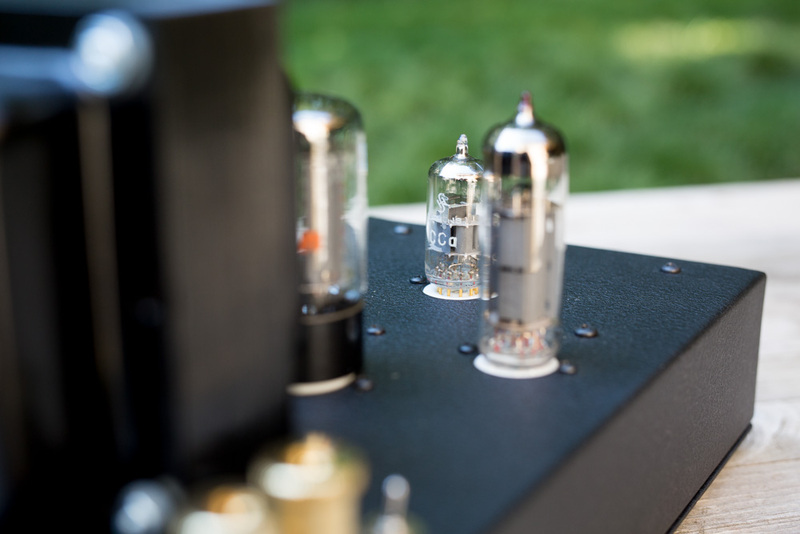 With a 6922/6DJ8/6N1P front end, there are SO MANY great tubes to play with in tailoring the sound you want. 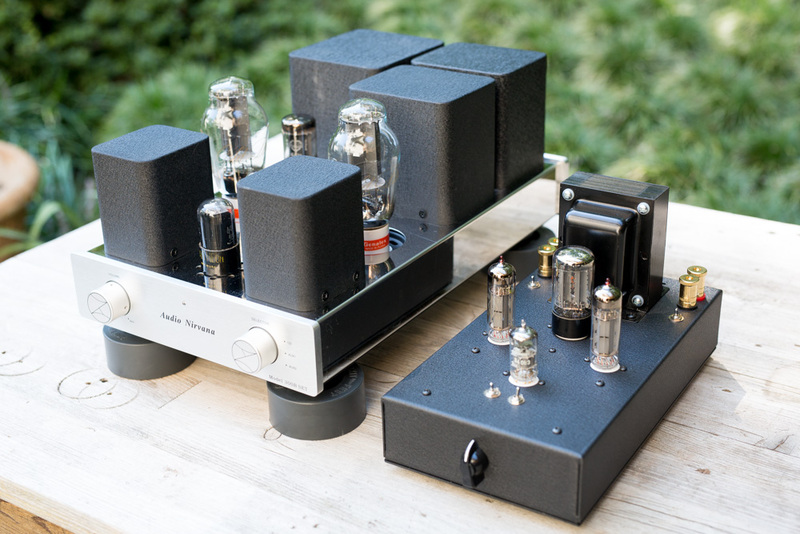 The 6922 family of tubes really do feature some extraordinary examples, with the early 1960's halo-getter CCa, the Siemens E188CC and the Mazda 7308 being three of my favorites. Again, in the rectifier position there are many choices to be made, including 274B, 5AR4, 5U4G, 5Y3 (or an 80 globe on adapter). I've found with this particular amplifier that I really like a 1920's Radiotron 80 globe. With this amount of flexibility, the little ZEN amps can be tailored to the user very effectively. Like a Harley Davidson, no two need to be the same. 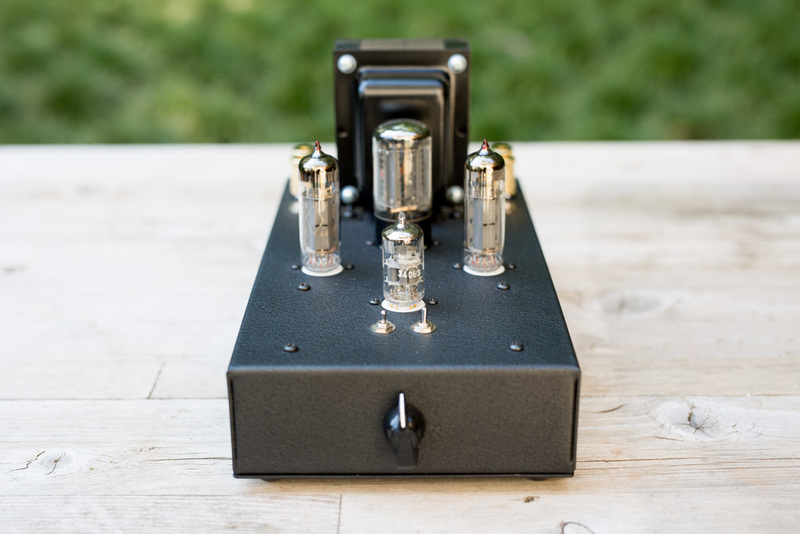 In short, this is the number one current production amplifier I would recommend without reservation to anyone interested in tube audio. Once you hear the Decware in your setting, it can be a very useful reference for future comparison. 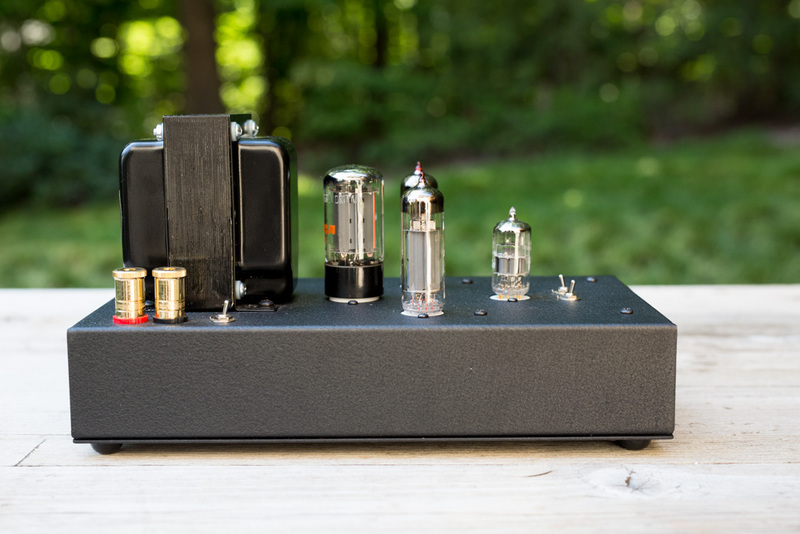 It just might surprise how fast and detailed two watts can really be, and how slow and syrupy sounding your 300B amp might sound afterwards. Decware has never been about fancy chrome and gold plating, just simple and clean functionality. Two switchable inputs is a really nice touch. And the connectors are very high quality. 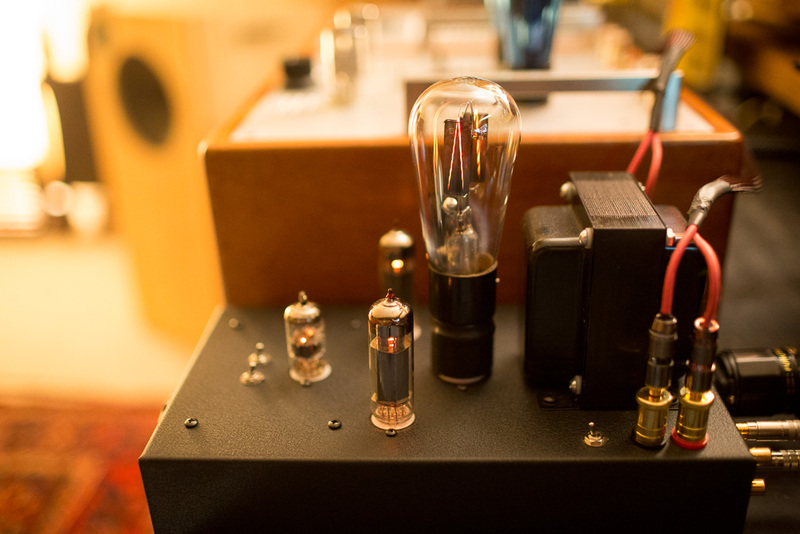 The early 60's Siemens CCa is a great sounding tube, but it is getting EXPENSIVE! The Siemens E188CC is wonderful too; lots of sparkle and its still a bit more reasonable in price. Thankfully there are still lots of superb choices for the driver slot that are more economical. In fact, the Russian 6N1P that comes with the amp sounds very good as well. 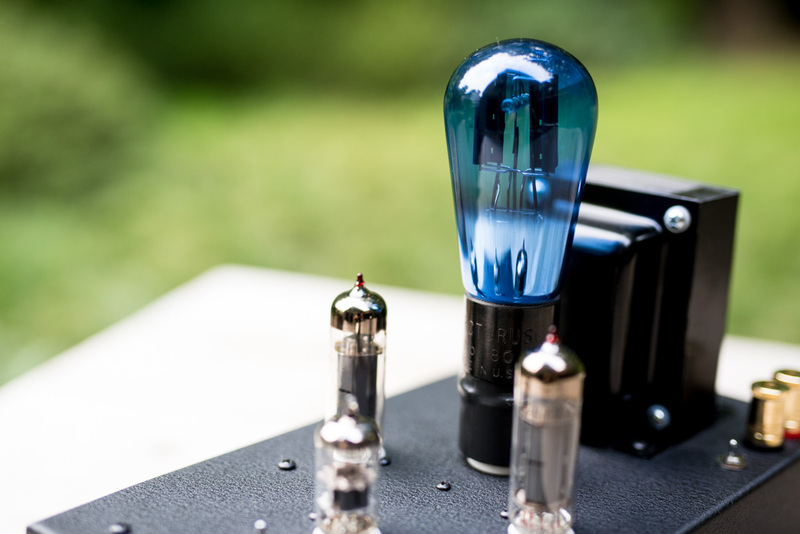 I like a 1920's Radiotron 80 globe on an adapter best in this amplifier. With the 80 in place, the soundstage gets bigger and bolder and micro detail is more palpable than with any of the other rectifiers I've used so far. It sounds very realistic and live with a big sound thrown out into all corners of the room. A mid-60's Mullard 5AR4 is another great choice here. Although I've enjoyed my previous Decware with a Full Music 274B, its not as good as the 80 Globe or the Mullard on this model. I found the Valve Art 274B that ships with the amp to be unremarkable. Tube rolling is a lot of fun with this little Decware. 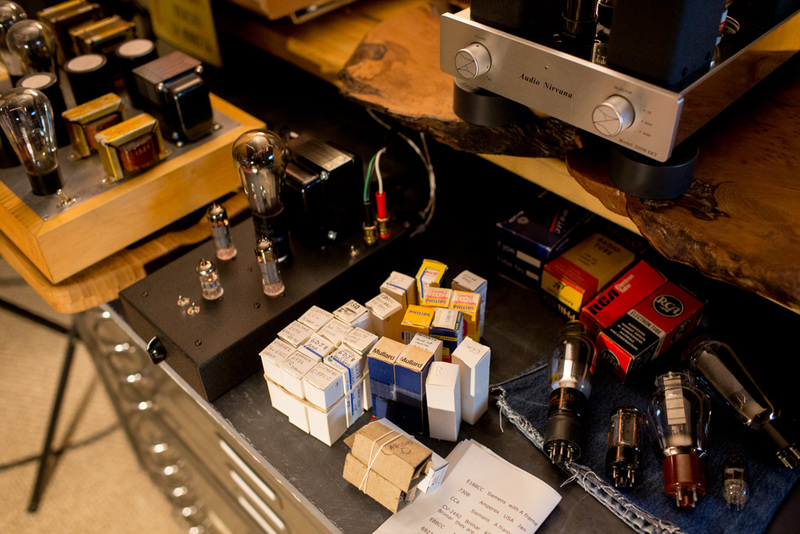 Here I've got my stash of 6922 family tubes as well as some older Russian military 6N1P, plus an array of rectifiers. Here it is with a blue glass 1930ish Arcturus 80. And here with a super rare Cardon 80 globe with mesh plates. Cardon was a division of Spartan Tubes, and Sparton seems to have been the only tube maker to build a mesh plate 80. This gives some sense of the difference in size between a 50 pound 300B amplifier and the small form factor Decware. In my opinion, the Decware is the better sounding amplifier here, but the AN 300B is no slouch either!